When you send a route to a driver on Route4Me, it appears on the driver's smartphone instantly. As your driver progresses through their optimized route, they may need to get a delivery confirmation or visit confirmation from the customer. 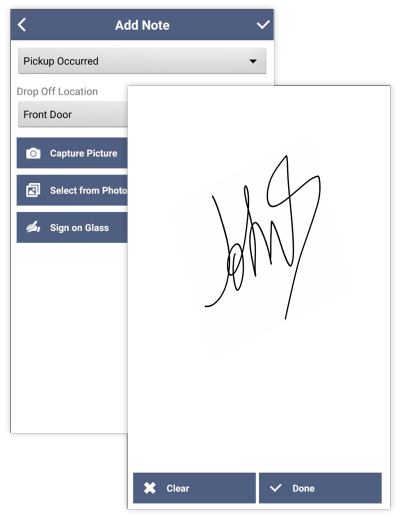 With Route4Me's smartphone app, drivers can capture these signatures on their mobile device. Then, the signatures will appear automatically on each corresponding stop in the app. Signatures are a type of event in the Route4Me system, which means you can monitor them inside your activity feed.